What a great start! Our team hit the ground running on the first day and we haven’t slowed down since. In two months, I’ve traveled to sunny Tampa, Bonita Springs, Miami, St. Augustine, Jacksonville, and back around to Tallahassee. I’ve had the pleasure of meeting many of our hardworking community members and educators to discuss the important education issues facing our great state. It has been an honor and a privilege to meet the bright minds of Florida’s future – both in classrooms I’ve visited and at student recognition events. As a former teacher, nothing inspires me more than watching our students succeed in learning. I have been truly impressed with the talented, hard-working, and innovative students I’ve met across the state. 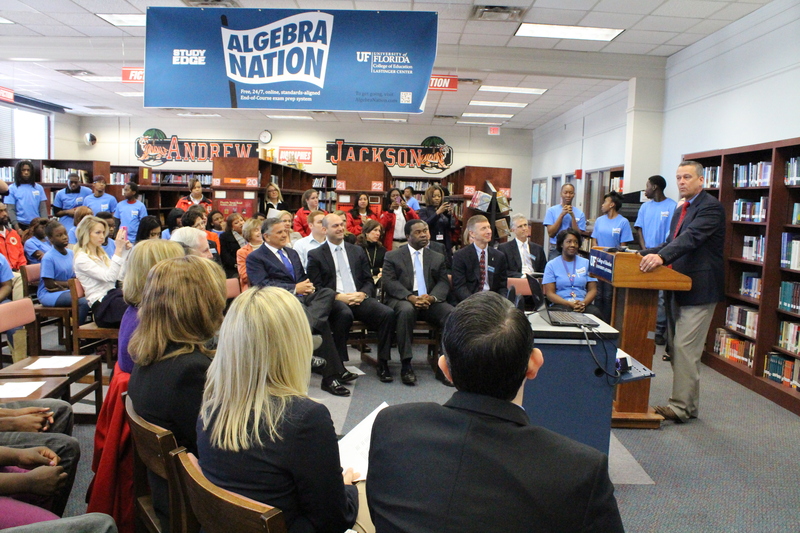 In Jacksonville, I joined our state board chair, Gary Chartrand, for the Algebra Nation kickoff event at Andrew Jackson High School. We witnessed students mastering complicated mathematics problems with the help of this online supplemental education program. 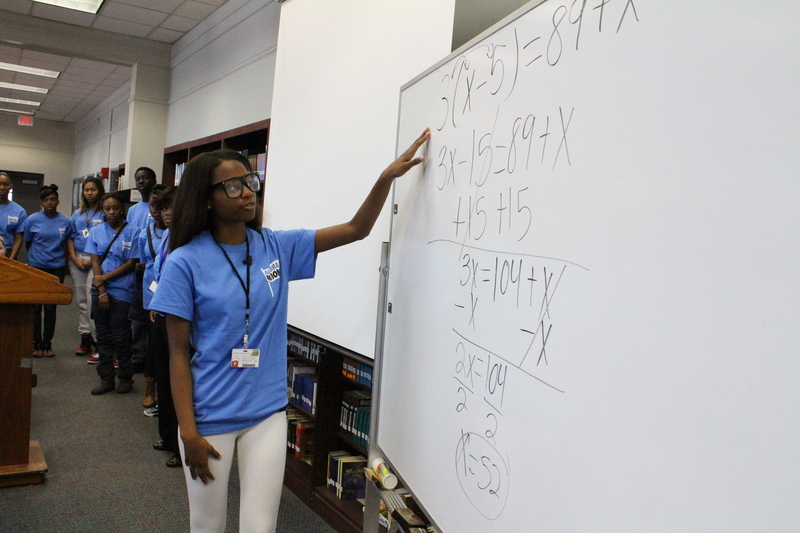 Algebra Nation is already helping thousands of Floridian students succeed in math classes and is a great example of how technology can enhance student learning success. I also spoke to our 2013 Sunshine State Scholars, who represent the best and brightest of Florida’s students, about the quality opportunities to seek higher education and STEM-focused careers in Florida. I believe all of us have a duty to recruit our most successful students to our state’s workforce and communities. As we look toward the future, our state will be best served by the talent we develop right here in the heart of Florida. Throughout my travels, I have learned so much about what matters most to our educators, parents, and students. The most pressing issue that many inquire about is the implementation of the Common Core State Standards (CCSS). This is not a typical standards change for our state, but it is one that is much needed and promises to transform the way our students learn, the way our educators teach, and the talent of our state’s workforce. As we quickly approach the implementation of the CCSS in the 2014-15 school year, I am fully committed to forging strong partnerships to make this a successful transition with a lasting, positive impact on our education system. Looking ahead, I have already started working alongside our state legislators and Governor Scott on ways to best serve our students. I am encouraged by the genuine interest so many of our elected officials have in the education of our children. They truly understand the importance of providing our students the best educational opportunities as well as the economic impact quality education has on our state.